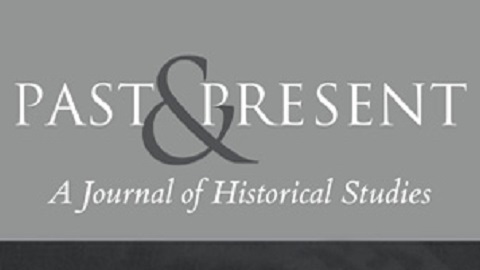 This past week, the journal Past & Present from Oxford University Press published a roundtable discussion on the relatively recent and rapid rise in the study of humanitarian history. The following reflects the original introduction to the discussion as published in the journal. Links to the complete article are provided below. There has been an undeniable interest in recent years in the history of humanitarianism. It is a field that has grown quickly and, as a field of inquiry, it incorporates a vast spectrum of subjects: from the history of anti-slavery movements in the eighteenth century, emergency relief in times of famine in the nineteenth, responses to refugee crises in the twentieth, through to longer-term development and poverty eradication programmes during and after empire. It embraces both private philanthropy and public assistance, from individual states and intergovernmental agencies, and intersects with so many other broad themes, from histories of race and gender, human rights, conflict and security, and even the overall development of capitalist modernity. Each of these subjects in turn have their own historiographies, and all draw too on a vast and well-established literature from across the social sciences and humanities. The number of books and articles addressing all of these concerns have expanded exponentially over the last decade or so, and new journals such as Humanity have appeared devoted to their historical analysis. Past and Present has not been immune from these historiographical trends. Recently, we have published pieces by Andrew MacDonald on Assyrian charity collectors, Mark Frost on the ‘overseas aid craze’ in the colonial Straits Settlements, Michelle Tusan on early humanitarian films and a viewpoint on the history of human rights by Stefan-Ludwig Hoffmann, as well as the responses from Sam Moyn and Lynn Hunt, which generated a huge amount of interest, particularly online.1 Because there has been so much of this work, and so much of a high quality, it seems an opportune moment to pause and reflect on why so many scholars are turning to the history of humanitarianism, broadly defined. There have been several of these interventions in recent years, many of them providing wonderful surveys of the field. But what is particularly apparent is that there is a growing number of historians who have chosen to research the history of humanitarianism as their first specialization. This ‘conversation’ brings a group of these together to discuss their own involvement in the field, why they think it has taken off, where they see it going and what they consider its strengths and weaknesses to be.